It has been said “give a man a fish and you will feed him for today. Teach a man to fish and you will feed him for a lifetime.” Part of the vision of New Dawn Communities is to raise up tomorrows leaders to impact and change their communities, towns, cities and nations. Each student is trained in several areas of vocational ability according to their gifting’s and aptitude. Part of their training is to be able to go out into their local community to become employed, start an enterprise or be a part of starting another New Dawn Communities. 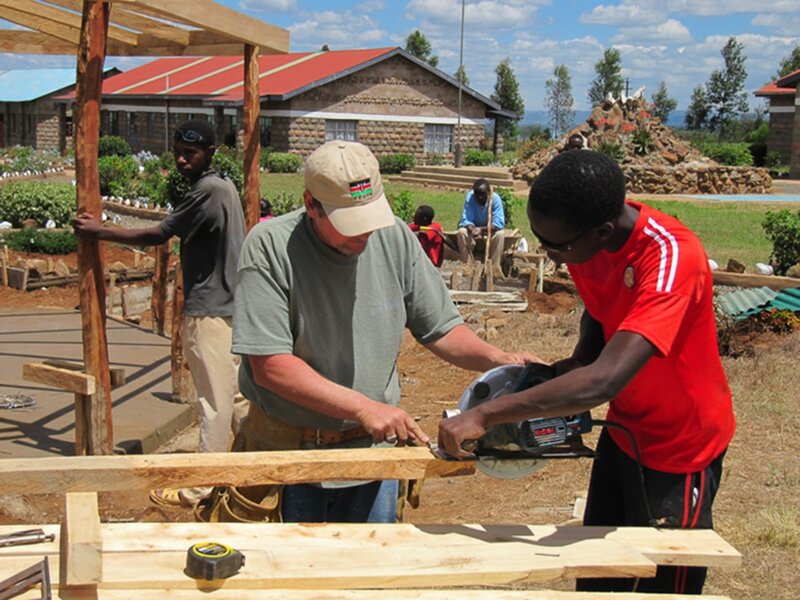 Student being instructed in carpentry while building the prayer gazebo. 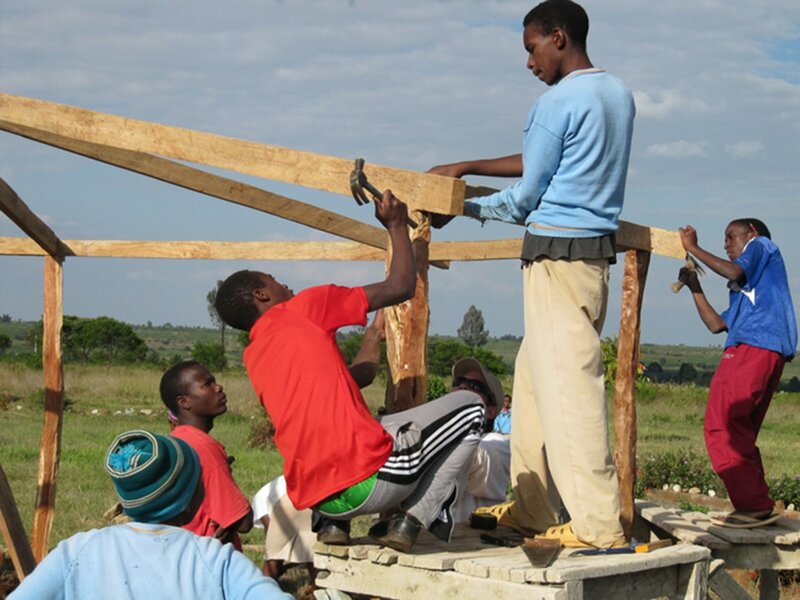 Students being instructed in carpentry while building the prayer gazebo.